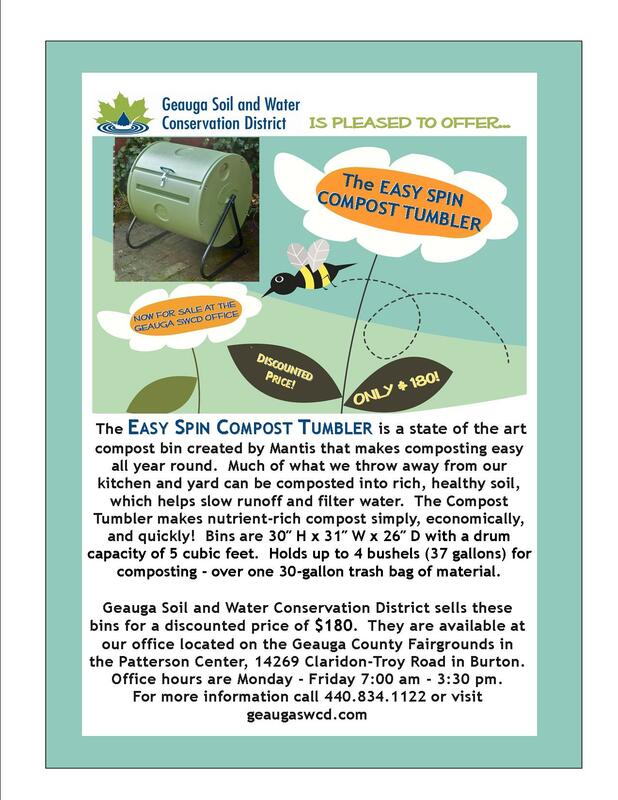 Geauga SWCD provides free technical assistance to Geauga County residents on many natural resource topics! Please contact us at 440-834-1122 to learn how we can assist you. Our office hours are Monday through Friday 7:30 am - 3:30 pm and it is recommended to schedule an appointment prior to your arrival since our technicians are often in the field. Erosion and Sediment Control for Septic System Installations ﻿- Best management practices for installing a septic system. Ways to Keep Our Soil Healthy and Our Water Clean!